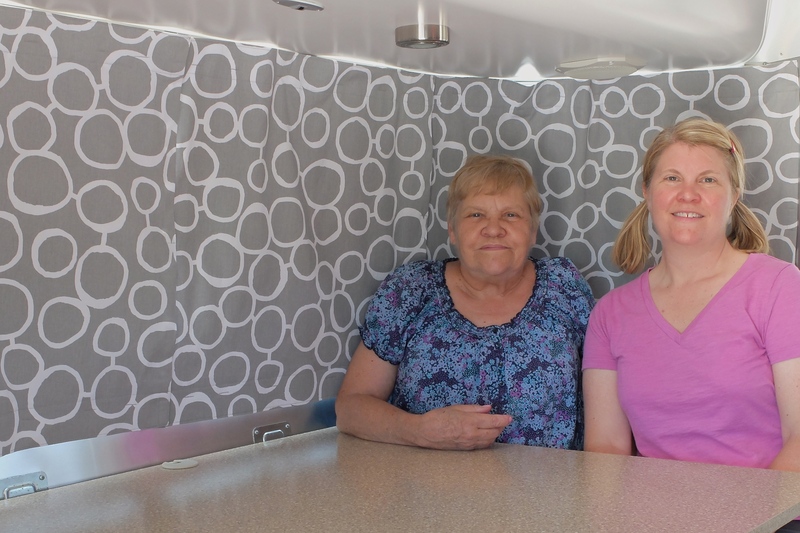 The stock curtains provided by Airstream are a bit boring and also too thin; Kelly has been wanting to swap them for something different for a long time. And so it was that last week in Tucson, while visiting Kelly’s mom and her husband, that project “curtain upgrade” was hatched. Kelly assumed the role of project manager, but most of the work was lovingly completed her mom. Not only are the new curtains better looking, blackout fabric was added, improving privacy and also eliminating unwanted sunshine/glare. Another benefit of the efforts this week … Kelly will stop ordering and hanging swatch samples throughout the trailer.